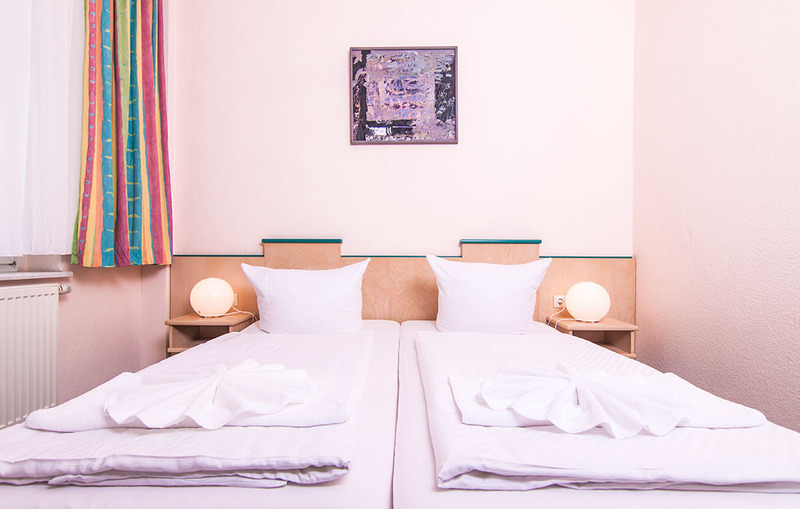 No matter whether you are travelling as a family or as a couple and want to enjoy exciting nights in Berlin, the Hotel Pension Odin offers <strong>beautiful double rooms</strong> for every taste in Berlin Prenzlauer Berg at a fair and affordable price. 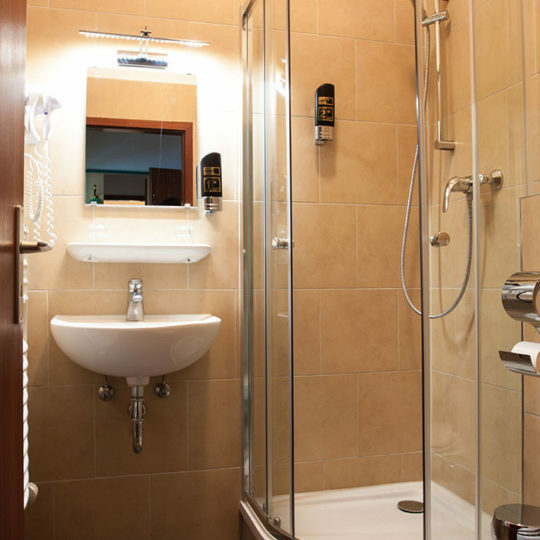 Call us every day and check if the room you are interested in is available or not. We are open daily from 10.00 to 18.00. From here you can easily reach all sightseeing highlights of the capital, as well as romantic restaurants and trendy locations and enjoy unforgettable and romantic nights in Berlin. 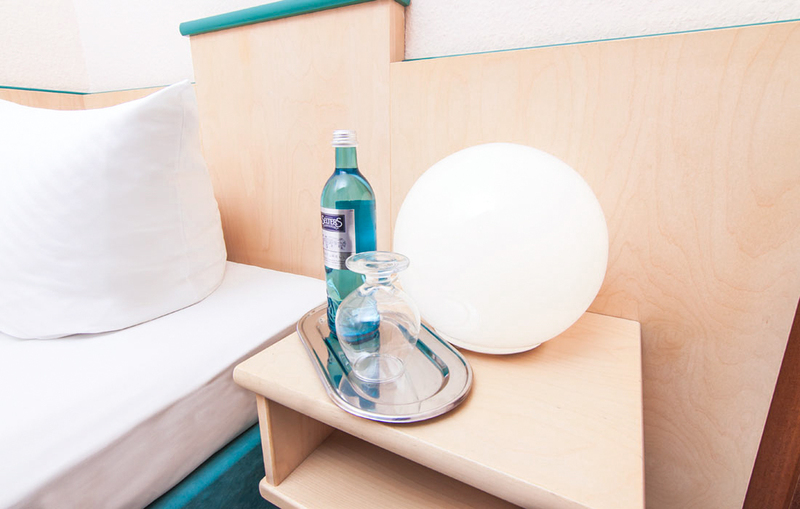 Many restaurants and bars in the popular Prenzlauer Berg can be easily reached from our Hotel Pension on foot. 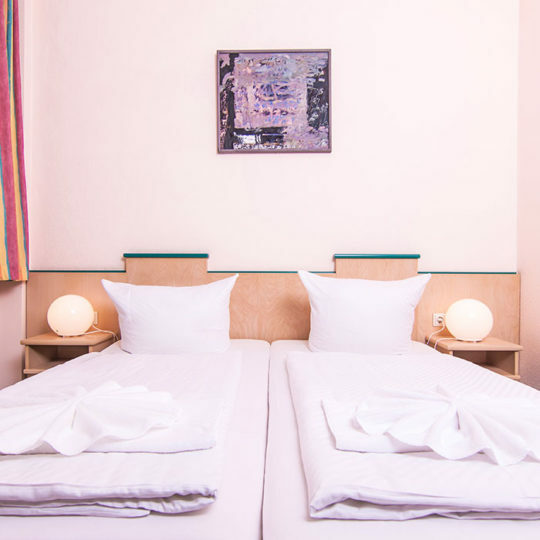 The double rooms of the Hotel Pension Odin in Berlin Prenzlauer Berg offer a lot of space and are attractive and functional, but also lovingly and comfortably furnished, so you can feel completely at ease. Luggage can be stowed into the wardrobe and on the bedside table. 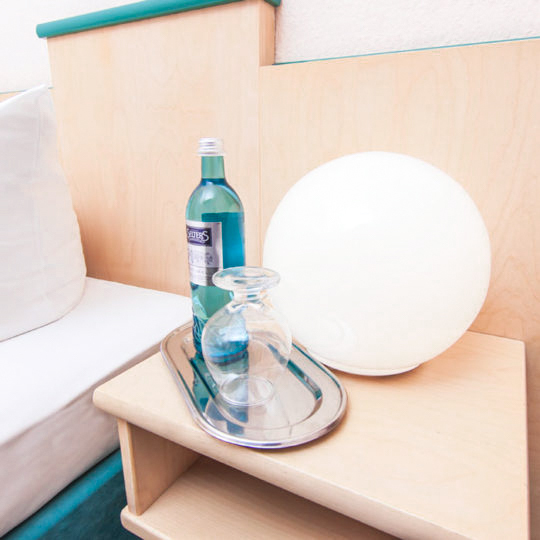 The comfortable double bed makes everyday stress quickly disappear and offers the opportunity to relax in a pleasant atmosphere and enjoy the night in Berlin. We also provide comfortable extra beds for children on request. 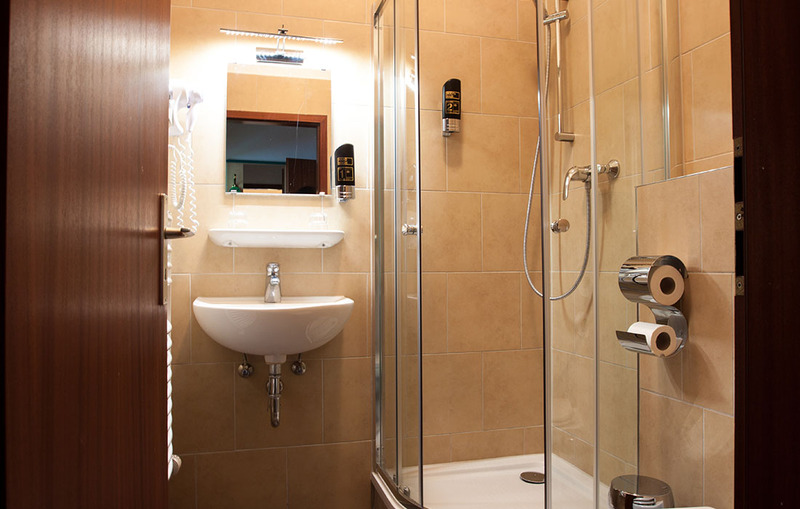 Each room is equipped with a desk and a chair and has a private spacious bathroom with shower and toilet. 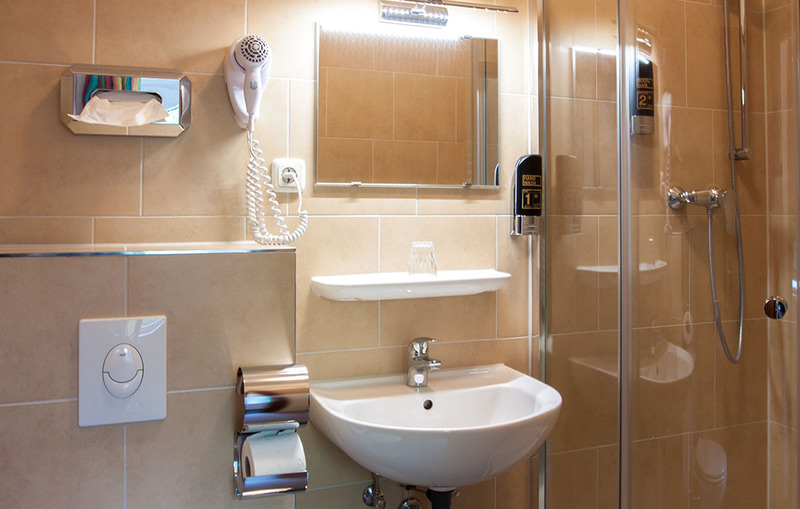 Hair dryer and toiletries, and fresh towels are included in our service. For many families a pet is a part of the family. Small breeds of pets are allowed in our Hotel Pension Odin, we take just a small extra charge. Therefore, you can travel with your pet and also do not need to find a place for it or someone to take care of it. 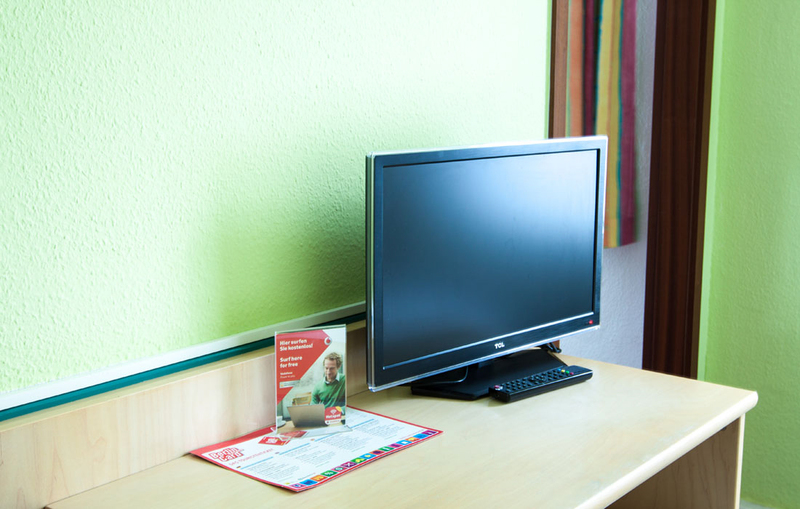 Our double rooms in Berlin Prenzlauer Berg are equipped with their own TV sets including free cable TV and modern Wi-Fi, so during your stay in Berlin you remain mobile and informed. 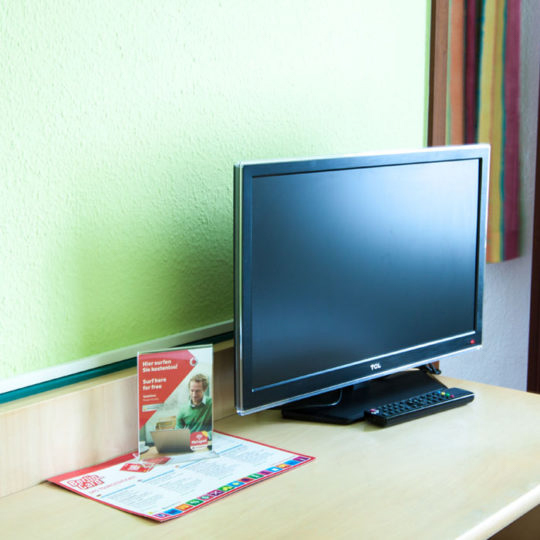 Watching a nice movie or checking your email-list, in the Hotel Pension Odin in Berlin you stay connected and feel at home. If you want to experience more of Berlin’s attractions, you will appreciate our good location in the German capital. 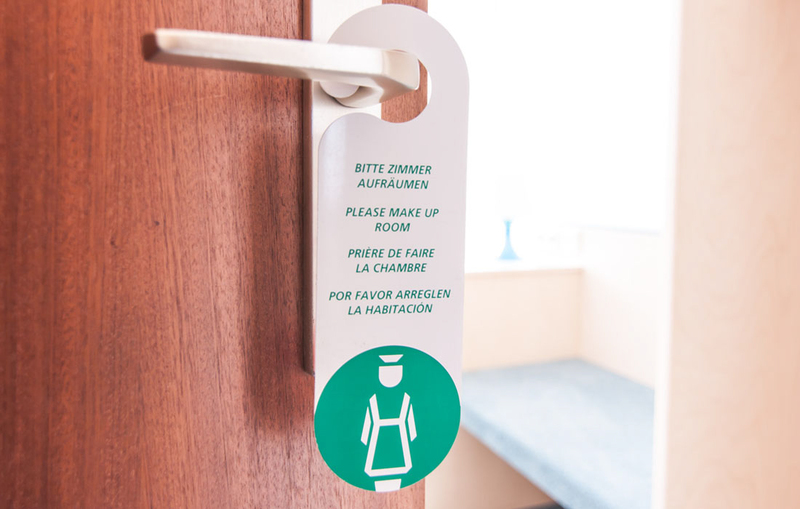 The perfect connection to public transport helps you to get easily even without a car anywhere and back in the Hotel Pension in Berlin Prenzlauer Berg. If you are travelling by your own car, you can leave it by us using free of charge on-street parking as long as you live here and get quickly from here to the center of Berlin and to the highway. Only tidy and clean room makes you feel really comfortable and at home. 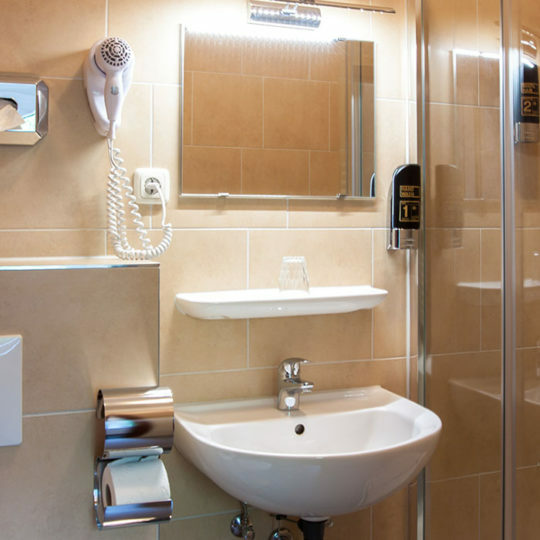 Our room service is reliable and discreet, daily professional cleaning of your double room in Berlin Prenzlauer Berg makes it hygienically clean and pure. Let us spoil you; we take care of everything so you can relax and enjoy your stay in the Hotel Pension Odin and feel yourself cozy and well.